Wear the Aysha cable knit bobble hat this season and brighten up the dullest of days with one of our vibrantly coloured bobble hats featuring a striking mix of traditional knit and contemporary colour. 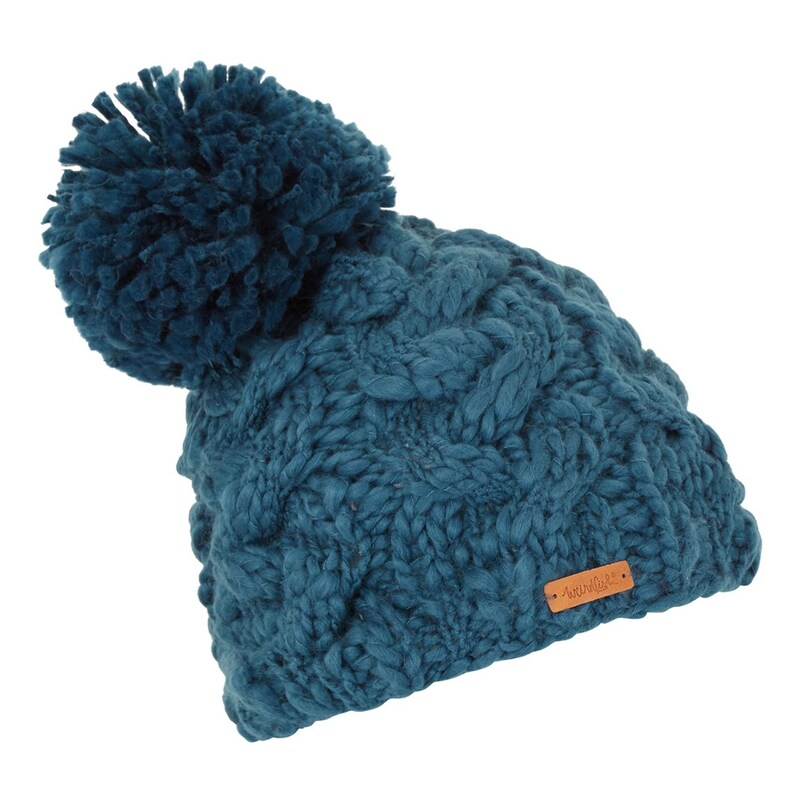 This hand made hat features a chunky cable knit stitch and a large pom-pom with a super-soft comfy fleece band inside to keep you extra comfortable; with a Weird Fish leather badge detail the Aysha is available in blue jay, clementine and sloeberry. 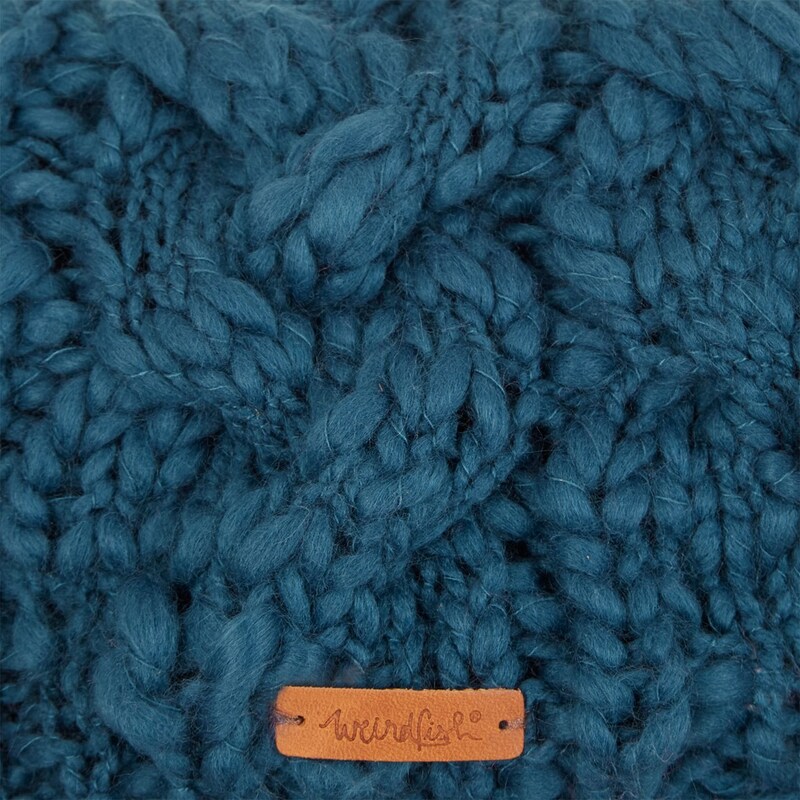 Why not match with our Azra cable knit wristwarmers in the same colourway for a funky look. Gets a four as unlike sloeberry hat it's too big and long. 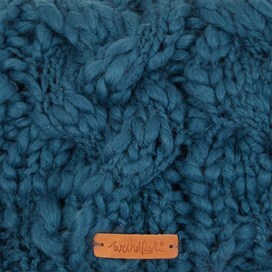 Gorgeous colour though and specially hand knitted. Good fit to head. Love the fact it's hand knitted. Feels special. Gorgeous bright colour lovely texture. I liked this ht, but is was too big, but I have a small head and fine hair, so may well be ok on others. Seemed very warm and cosy though. Pompon is quite big but it suits the chunky knit. Very cute! Colour is as depicted on the website.